Includes 1 pair of EP3 earphones, 1 set of Comply™ isolation tips (black T-200 medium - attached to earphones), 1 set of Comply™ isolation tips (black T-200 large), 1 set of silicone ear cushions in small, medium and large, cord clip, carry pouch, and owner’s manual. 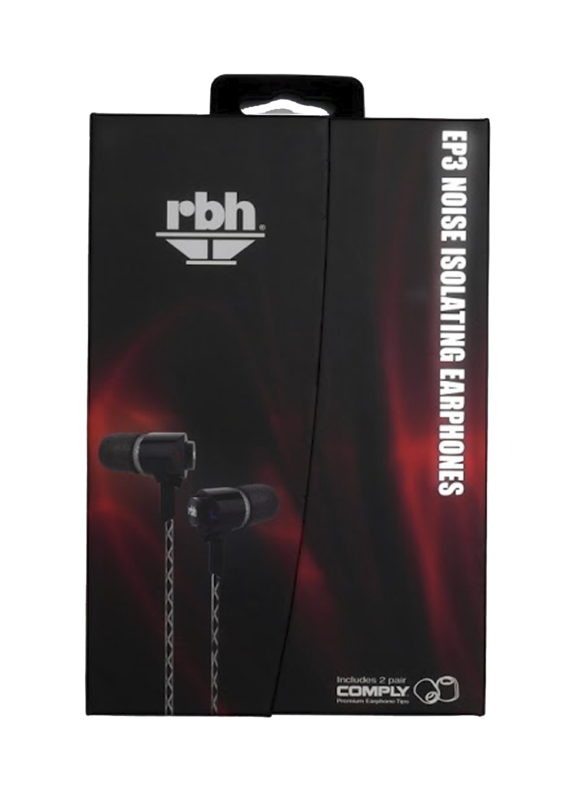 *Comply™ tips are not a RBH Sound product therefore they are not covered by warranty through RBH Sound. Check with Comply™ for warranty information. Your purchase comes a 30-day trial period. EP3 Noise Isolating Earphones deliver the high fidelity our company is known for to your iPhone©, iPod©, MP3 player, smart phone or other personal audio player. Our continuous quest for optimal performance led us to the use of ceramic housing. Ceramic due to its relatively neutral acoustic properties, improves audio performance resulting in high fidelity while providing a polished visually stunning appearance. The microphone and smartphone control module adds several convenience functions with just the push of a button. By activating functions with a single button, the earphones become almost hands-free with the microphone close to the mouth and jaw area for clearer conversations. Regular earbuds, like the ones that come with your player, just can't match the EP3’s performance, control or noise isolation capabilities! These durable and stylish earphones come with a protective carrying pouch, a cord clip, ear cushions of two types: Comply™ Foam Tips in medium and large, and silicone ear cushions in small, medium and large for a comfortable and personalized fit. Looking for earphones without a microphone and function control features check out our EP1 Noise Isolating Earphones. 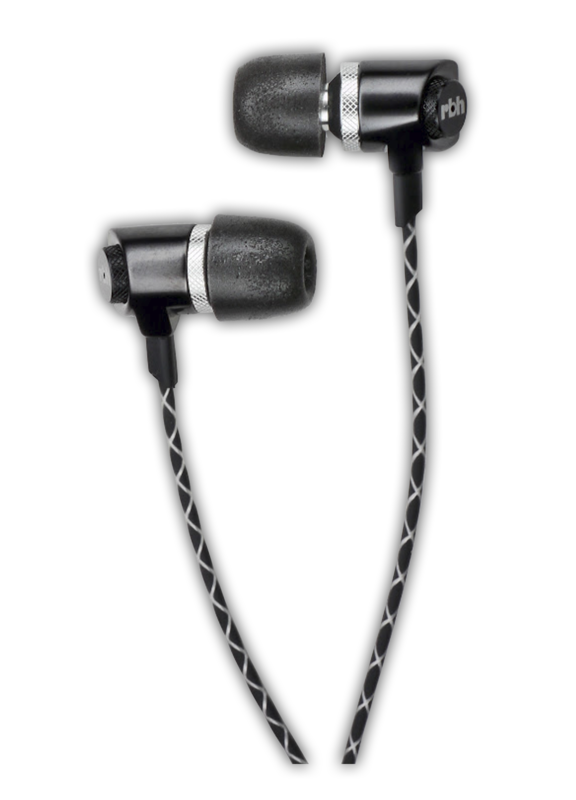 The EP3 earphones include mic-module adding several functions with the push of only one button. 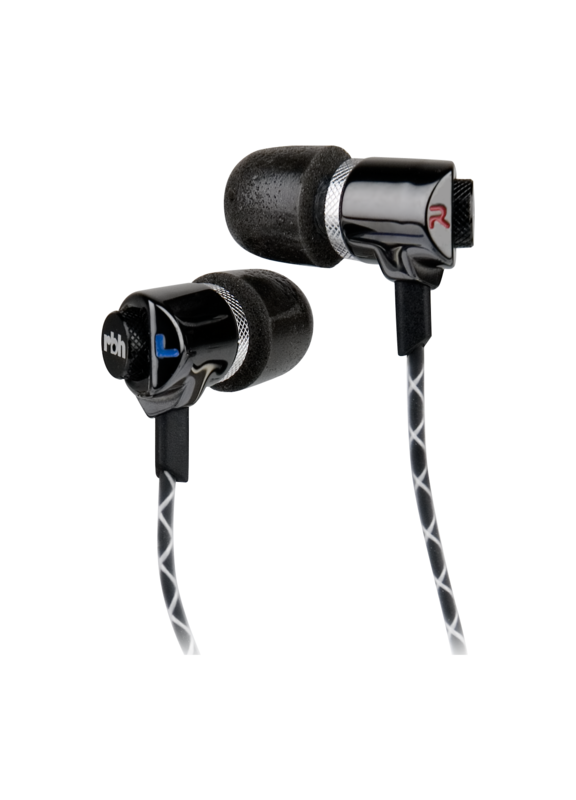 Check out some of our other earphones and headphones: EP1, EP2, EP-SB, EP-ZERO, H2. You guys have the BEST customer service I've ever encountered! #1 for sure!! Additionally, The EP3's are AWESOME!. Plain and simple! Besides incredible construction, with the ceramic housing and upgraded cabling, amazing fit and comfort without fatigue after wearing for long periods of time, the sound is the absolute best I've heard in an IEM! I travel weekly and constantly check out ear buds at the airport. 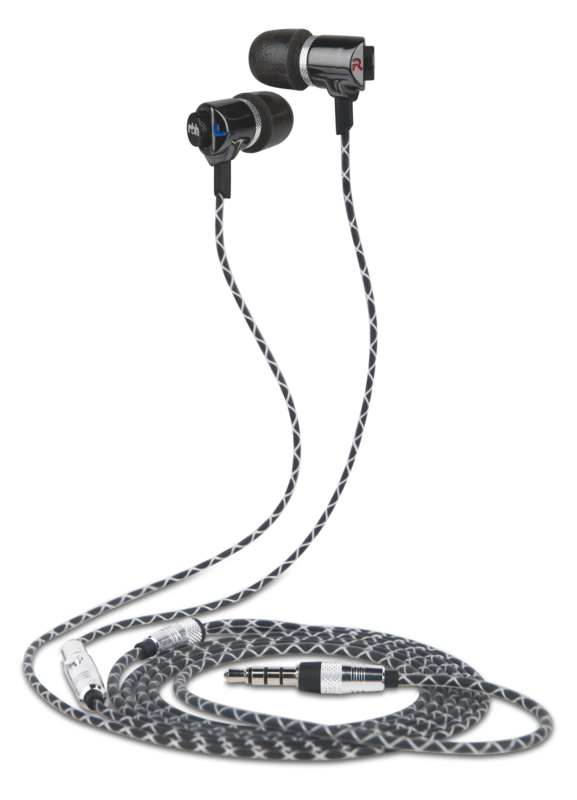 Yours have the best sound, even compared to $500+ IEM's! The vendors at the airports should carry them for sure! They're amazed when I show them off compared to their current stock. Nothing compares! The first noticeable improvement in the EP3's is the bass response, which is solid, with a deep punch but extremely clear, not muffled at all. It's also not overbearing to the mids and highs, which come out crisp and accurate. All in all a fantastic frequency response with great soundstage and accuracy! 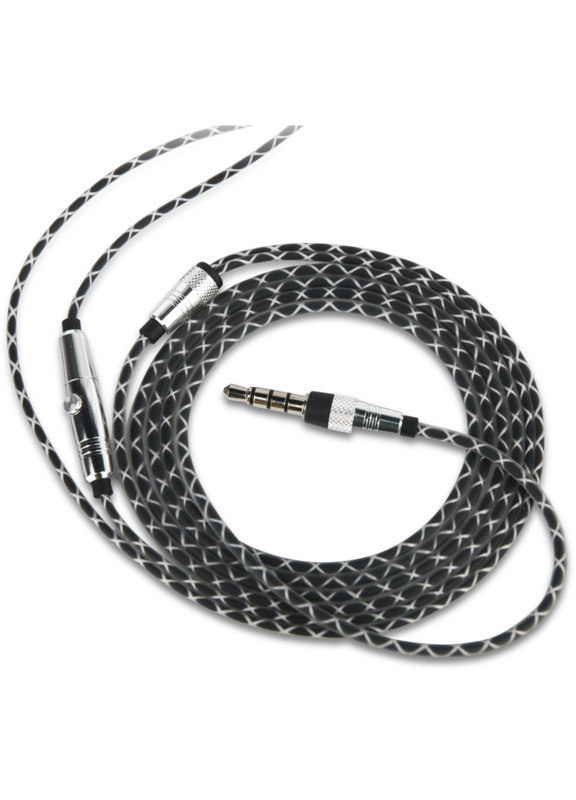 Excellent clear and distinctive quality sound for all types of music! I'm hearing things in the music that I've never heard before.....fantastic! I've encourage several friends and colleagues to pickup these EP3's and they've been extremely happy as well. Please post this on your review link so other's reading it will be inclined to get the EP3's and enjoy the tremendous RBH sound too! Thanks again guys! Keep Rockin'!" — Len M.